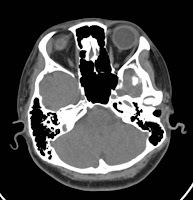 A normal head ct scan of a 27 year old female because she had a vehicular accident. 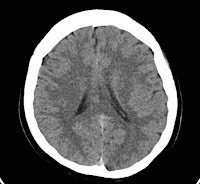 Plain cranial CT scan with bone window setting shows no abnormal high nor low density lesion noted intra and extraaxially. The ventricles and cisterns are within normal size and configuration. Brainstem and cerebellum show no abnormal findings. The cranial vault and visualized basal skull structures are not remarkable. The visualized sinuses, mastoid processes, orbits, intraconal and extraconal structures are not remarkable. The cortical sulci, lateral, and the cerebellar fissures are intact. The ventricles are not dilated. 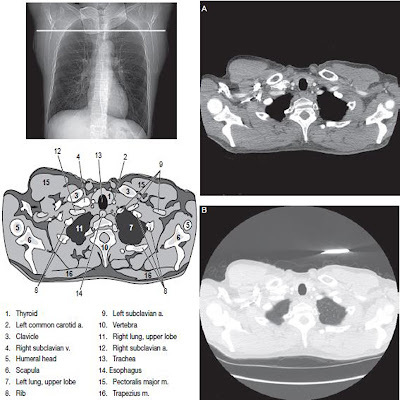 The parasellar region is intact. The posterior fossa structures are unremarkable. The globes, and the intraoptic lens are intact, bilaterally. The extraocular muscles, and optic nerve are not thickened. There is dilation of the superior ophthalmic vein. The lacrimal glands are not enlarged. 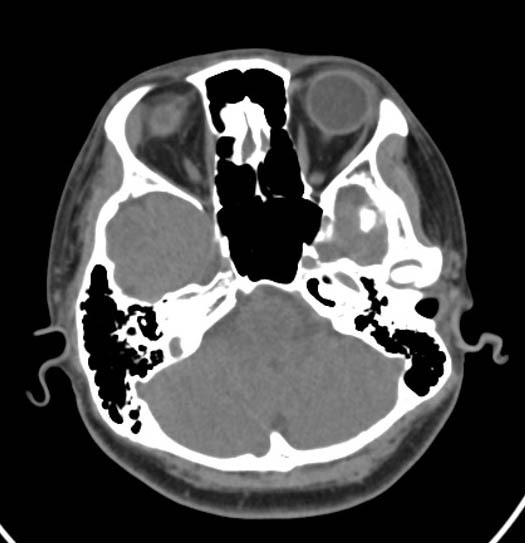 The visualized paranasal sinuses, and mastoids are unremarkable. Non-dehiscent, high-jugular bulb is noted on the right.